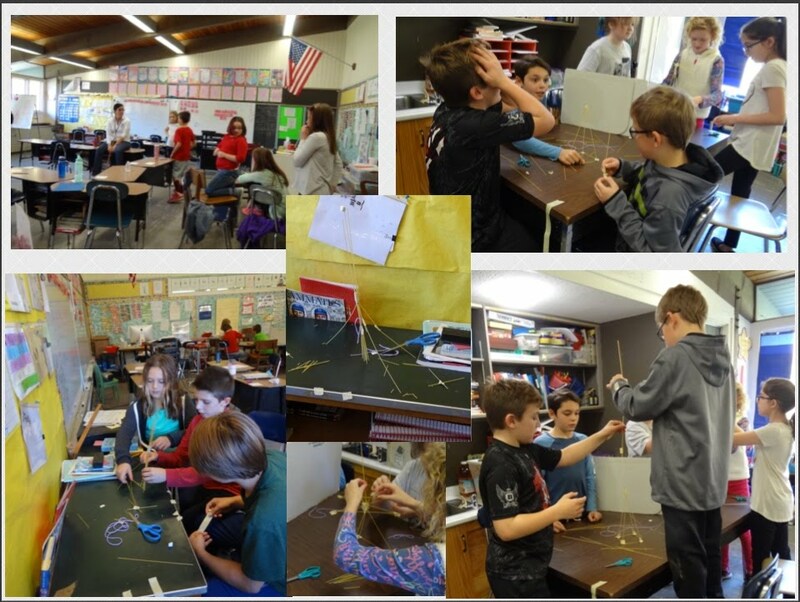 Mrs. Donahue's 5th Grade Class took the Marshmallow Design Challenge. Each team is given 1 yard of tape, 1 yard of string, 20 pieces of long spaghetti and 1 mini marshmallow. The teams had 18 minutes to construct a structure. Winning structure is the middle picture.